controlled pedestrian accesses from the street. 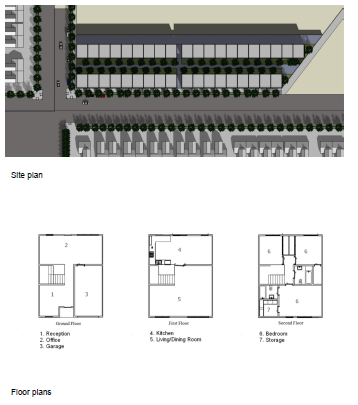 units for the whole development is 38 with a density of 25 units/acre. 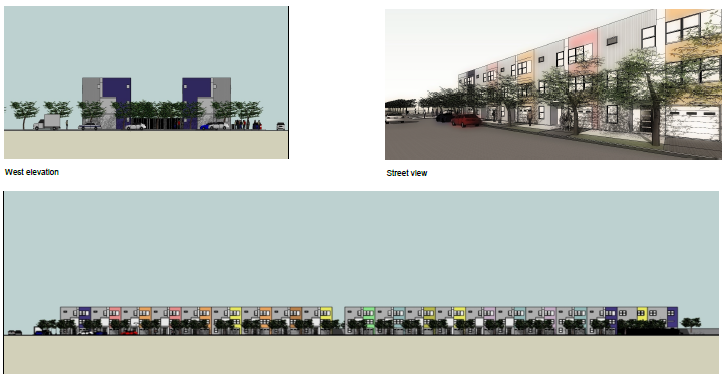 access to parking spaces for those units that do not have direct access to the street. floor. The average size for each unit is 1,600 sq. ft.